Kansas City's Delbert Haff Fountain, located at Meyer Boulevard and Swope Parkway, was originally dedicated as a simple mirror pool in 1940. In 1966, the vertical jets were added. It was decided in 2015 that renovations needed to be made to the fountain and surrounding area. The concrete pool basin was delaminated and leaking, many of the pool light fixtures were not functional, moisture infiltration at the existing electrical vault near the pool was a recurring issue, and various plumbing and electrical fountain components were approaching the end their anticipated useful lifespans. As part of the renovation project, the pool depth was decreased from 3 ft to 18” maximum, providing both water conservation and public safety enhancements to the site. The water feature in the pool was increased from three jets to seven, adding visual punch to the wide open site. To facilitate installation of new, larger capacity fountain pumps and a pool filtration system, a new concrete equipment vault was installed in place of the existing electrical fault. Configuration and layout of the new vault accommodates access and maintenance to the new equipment. Renovated fountain equipment items incorporated into the project by our design team include a new ship’s ladder into the vault (in lieu of a perpendicular ladder), new electrical transformer, meter and disconnect within line-of-sight of the fountain, fountain fill water flow control, and the inclusion of skimmer baskets in the pool filtration/treatment system. The new LED fountain lights are RGBW with color sequencing capabilities. 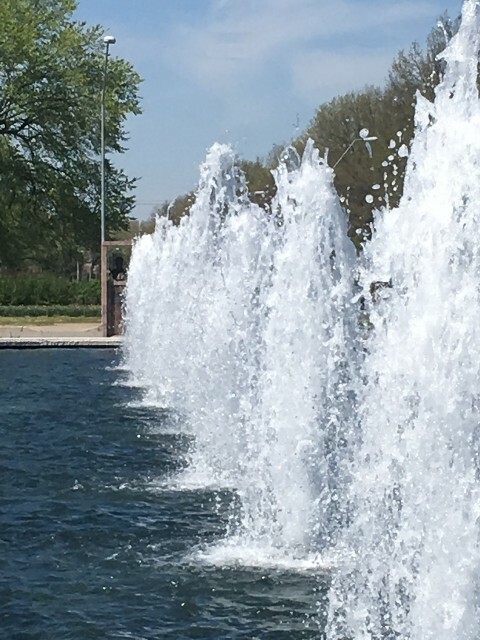 The fountain offically re-opened at the conculsion of the Fountain Day 2019 ceremony on April 16, 2019. KCI Taxiway B Rehabiliation is Underway! 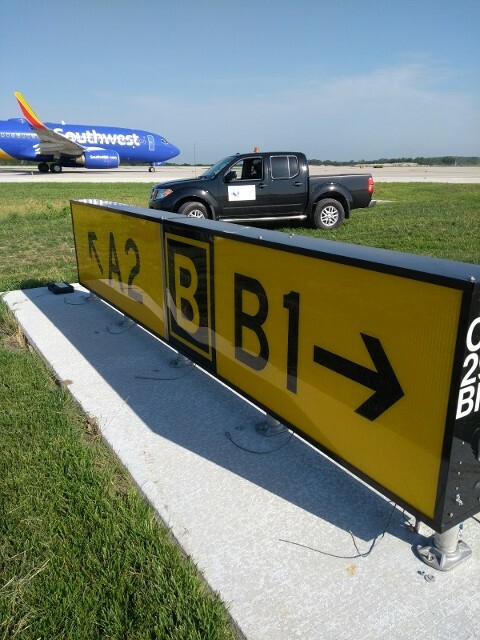 The crews out at Kansas City International Airport are making progress on Phase II of the rehabilitiaon of Taxiway B. One of Custom Engineering's own is serving as resident engineer to oversee the installation of the airfield lighting and other electrical items. The project is set to be complete by December 1, 2018. 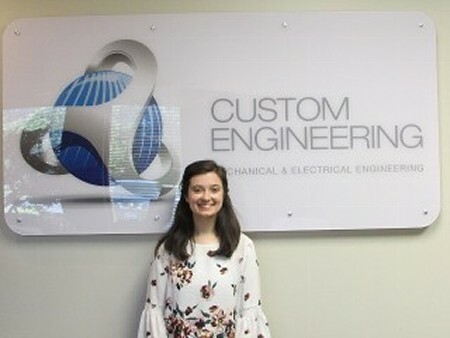 Custom Engineering is pleased to introduce our summer interns, Lyndon Ersery and Sara Sammur. Lyndon Ersery has been attending the University of Missouri-Columbia (M-I-Z-Z-O-U! ), where he is pursuing a Bachelor of Science in Mechanical Engineering. He is also considering minoring in Aerospace Engineering. Lyndon is entering his senior year in the fall. 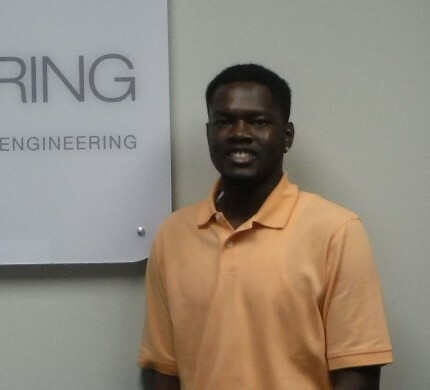 This is Lyndon’s fourth summer as an intern for an engineering firm. He is a Kauffman Scholar and recipient of the Engineering Club of Kansas City Scholarship, the William Pinkard Scholarship, and the Theta Boule Foundation scholarship. He is currently involved with NSBE and is the treasurer for his floor at the university. In his spare time, Lyndon enjoys playing video games. Sara Sammur is currently studying to receive her Bachelor of Science degree in Architectural Engineering at the University of Kansas (Rock Chalk!). In addition to her major, Sara is minoring in French. She hopes to get into lighting design once she graduates and then go after her PE. 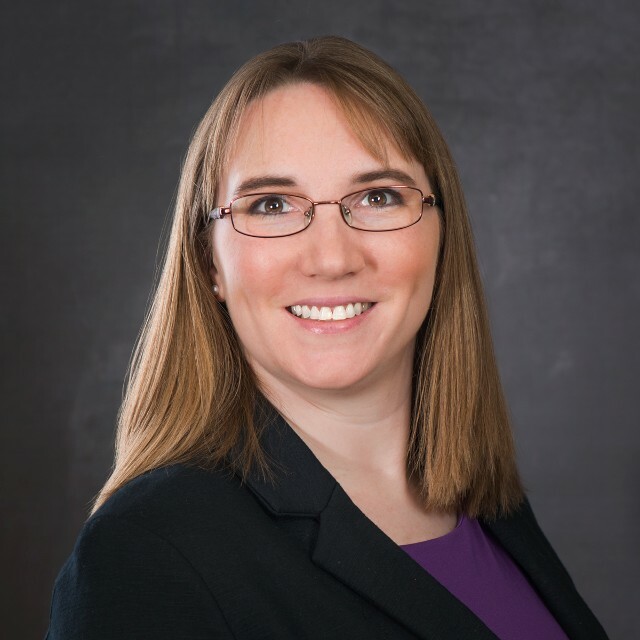 Sara serves as Vice President for the Women in SELF Engineering Leadership Fellows Program where it is her responsibility to create and implement activities to educated and connect women in engineering. She was also a member of KU’s Concrete Canoe team, working with a team to develop and test a concrete mix that would create an aerodynamic and buoyant concrete canoe. In her spare time, Sara enjoys reading, cooking, and DIY projects. 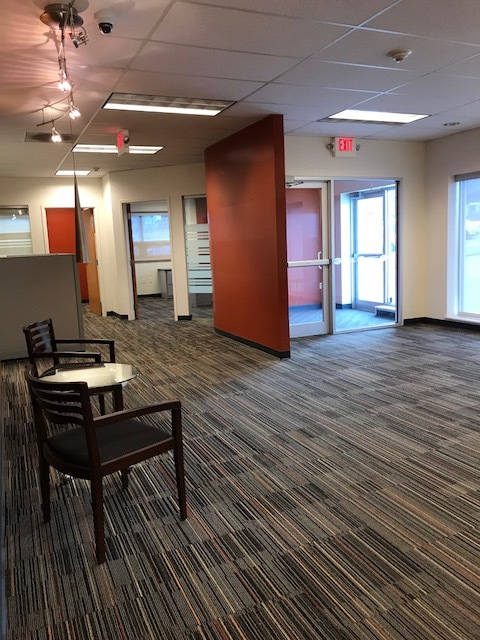 Our St. Louis Office Has Moved! Our St. Louis team has moved into a new office space. Our new location is just south of downtown. The 7700 sqft facility has 6 offices, 21 workstations, a conference room, large training room, breakroom, and 21 parking spaces. We are excited about our growth and are getting settled in the office. You can find us at 1552 S. 7th St., St. Louis, MO 63104. Our phone number remains the same. We are growing! Our St. Louis office has gained another electrical engineer. Mr. Basit Syed brings 25 years of experience in electrical systems design to our team. He earned his Bachelor of Science in Electrical Engineering from Southern Illinois University in Carbondale, IL. Welcome, Basit! Custom Engineering proudly welcomes Natnael Hailemichael to our team. 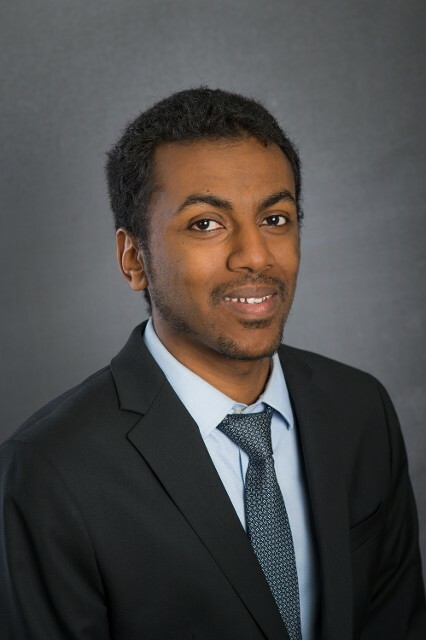 Natnael recently graduated from UMKC with a bachelor’s degree in electrical power engineering. He has joined our St. Louis office under the tutelage of Walter May. Natnael is detailed oriented, a quick learner, a strong team player, and has good background in power and electronics engineering fundamentals. We look forward to his contributions to the electrical department and company growth. Custom Engineering is pleased to announce that Erin Decker (formerly Project Assistant) has been promoted to Marketing Coordinator. Erin has been the company for nearly five years. In this time, she has been instrumental in helping us win projects by preparing resumes, project descriptions, proposals, and coordinating with clients. She also has the responsibility of website maintenance, social media, and client engagement. Erin often receives compliments from our clients on her prompt response to their request for information critical for meeting submittal deadlines. Congratulations, Erin! Joe Davis, CEO of Custom Engineering, is excited about Kansas City's new terminal. We are even more excited in the role we will play designing it. A project of this scale doesn't come around to often and the impact on the community will be phenomenal. We have had access to decision makers and challenged to grow our company with their support. We believe the community engagement and enhancement proposal the Edgemoor Team has presented to KCMO will be a catalyst for hiring and strengthening of MWBE professional services firms. Time is of the essence and continued negotiations between KCMO and Edgemoor is strongly encouraged. 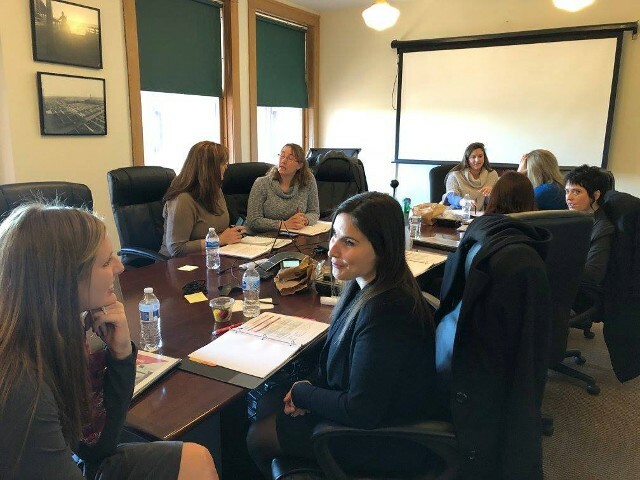 The 2017-2018 SMPS Kansas City class of mentors and protégés met on November 7 to kick-off the year and discussed schedules, roles and responsibilities and suggestions on how to enhance the professional relationship for the year. Custom Engineering's marketing coordinator, Erin Decker, is participating this year as a protégé. "I am excited to learn from someone who knows the industry so well and is willing to pass some of that knowledge on to me. I hope to learn just a fraction of what she does so that I can apply it to my own career and help my company move forward." Custom Engineering's team of mechanical and electrical engineers made a final visit to the KCI Facility Shop Complex to run through the final punch list for our scopes of work. 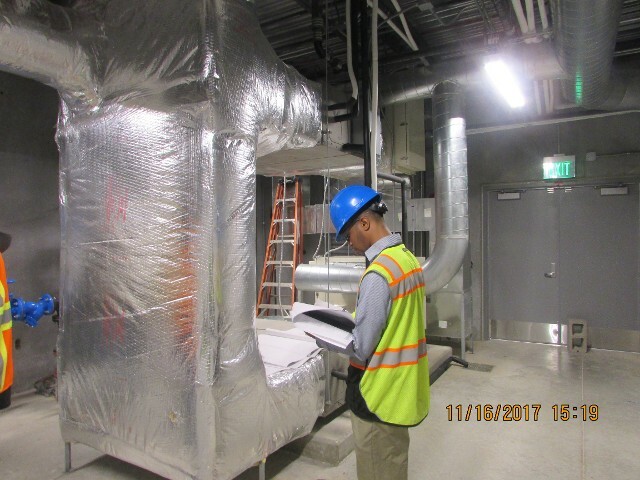 in the photo to the right, mechanical engineer, Jeremy Walker, is cross referencing drawings with new ductwork and equipment and making sure all equipment shown on drawings matches the building layouts. Custom Engineering provided mechanical and electrical design services for a new maintenance complex. The main 15,000 sq. ft. facility includes administration offices with support areas, as well as individual shops including carpentry, equipment repair, metal, welding, paint and associated support areas including tool/part/equipment storage areas. Electrical design services include power, lighting (interior and exterior), lightning protection, fire alarm, CCTV/access control systems, communications and data/IT design. Mechanical and plumbing design services comprised the 7,000 square feet of administration space to be conditioned with a variable refrigerant flow (VRF) system for energy savings to help meet LEED Gold standards. The outside air requirements utilize energy recovery units to recover exhaust and return energy. The remainder of the shop will be ventilated with wall propeller fans and heated with high efficiency gas fire unit heaters. Low flow plumbing fixtures will be used throughout. Ancillary systems include a paint booth, welding hood system, wood shop dust collection, emergency eyewash & safety showers and a truck dock lift. 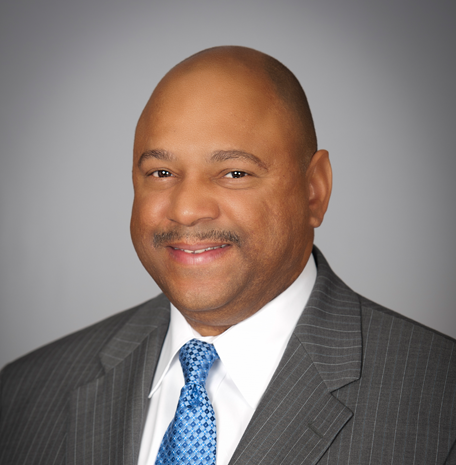 Custom Engineering's CEO, Joseph Davis, was one of 8 people chosen to participate in Monsanto's Supplier Diversity Mentoring Program. The MSDMP is an extensive 12-month mentoring program designed to assist in the growth and sustainability of diverse suppliers that could provide goods and services to Monsanto. Over 85 applications were submitted for the 8 slots. The full article from Monsanto can be viewed here. The Meyer Circle Seahorse Fountain is nearly complete. The water was turned back on for a test run on October 6, 2017. The fountain will be drained for a final punch list check on Monday, October 9, 2017. Walter P Moore is the architect for the project. 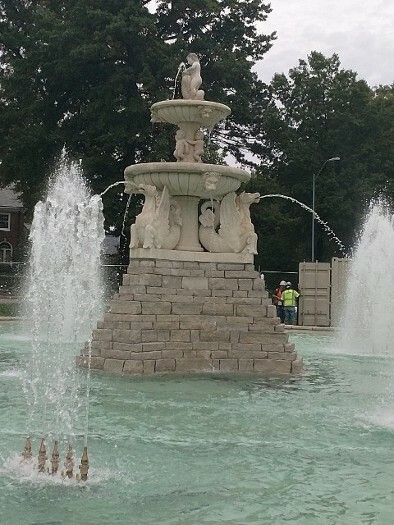 Custom Engineering provided MEP condition assessment, improvements design, and construction administration services for the renovation of the Meyer Circle Sea Horse Fountain. Originally constructed in 1925, this fountain has evolved into a Kansas City landmark. The fountain was in need of extensive repairs and had been dry since the fall of 2015. Underground vault flooding, damage to the fountains pumps, motors, and electrical systems, and leaks in the fountain pool were among the major obstacles to reliable fountain operation. The project was completed in two phases. For Phase I Custom Engineering completed an assessment confirming existing conditions and compiled a study/report with recommendations for improvements. A preliminary construction cost estimate was also provided for budgetary reference. Phase II construction work included concrete and masonry wall repairs, fountain floor and wall waterproofing, site improvements, and complete replacement of the main electrical service, pump vault, pool plumbing and pool lighting. Custom Engineering provided a design for the new pump vault, pool piping and nozzles, pool lighting systems, and main electrical service. 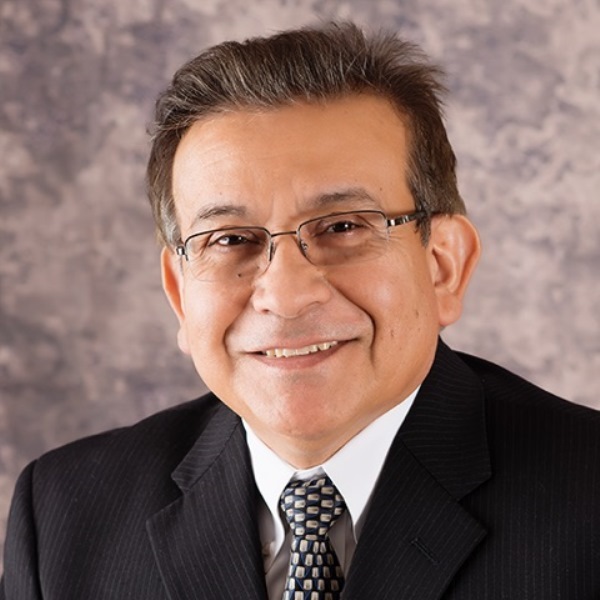 Mr. Rondón is an electrical engineer with more than twenty years of experience with progressively increasing responsibility in design-build projects in multicultural environments. 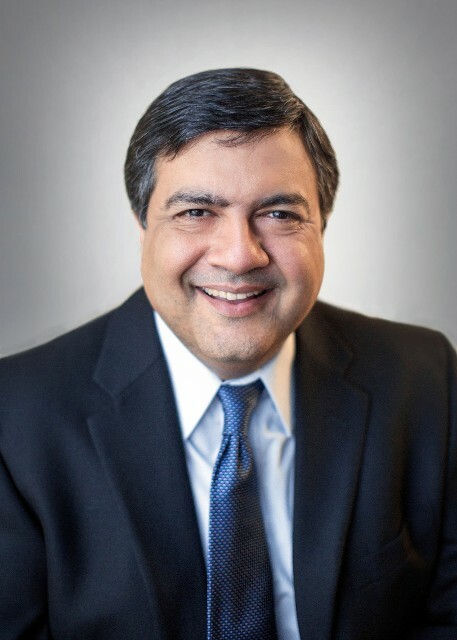 His involvement includes executing engineering design, owner’s engineering, construction supervision, commissioning and startup of electrical power systems and control systems for power generation facilities including Combined Cycles, and Coal Based Units, substations, gas compressor stations, demineralized water and wastewater treatment plants. He has worked on projects located in the United States, Latin America, Asia, Middle East, and Europe. Mr. Rondón is fluent in English and Spanish.